home of the original Kush Cake Pops! The World's Most ''POPular Cannabis edibles"
are medicated cakes covered in chocolate with over 30 varieties of colorful strain themes and flavors. 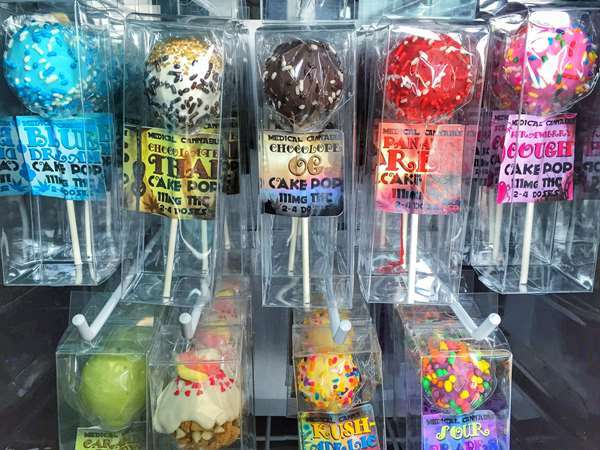 Our artisan desserts (on a stick) are always made from the highest grade ingredients and baked fresh daily! Fall in love with our seasonal menu! Now featuring our fun Summer flavors! © 2019 Kush Kakery. All rights reserved. View site map. Kush Kakery website is served by Flavor Plate.